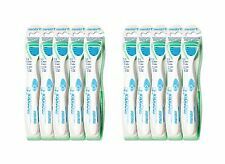 Ideal For Ensuring That Dental & Oral Hygiene Are Kept To A High Standard More Effective Than Using A Toothbrush Ensures That There Is Little To No Build Up Of Bacteria On The Tongue. Keeps Breath Fresher For Longer . • Die Wirksamkeit ist klinisch belegt. Der GUM Zungenreiniger ist beidseitig zu verwenden. 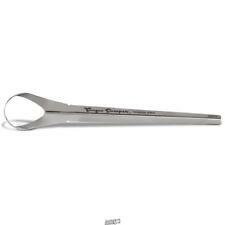 Hammacher Tongue Sweeper Titanium Pro Hypoallergenic Tongue Cleaner. 87913 Tongue Sweeper Titanium Pro Hypoallergenic Tongue Cleaner. Its patented one-handed design facilitates ease of use for adults and children six and older. Tung brush and Gel is especially designed to remove odour causing bacteria from the tongue and outperforms toothbrushes and scrapers. 90% of users preferred TUNG over all other tongue cleaners in a recent study. Academy of General Dentistry spokesperson, June Lee, DDS, MAGD. 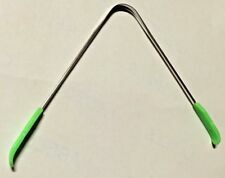 "Tongue cleaners and scrapers are straightforward and comfortable to use, easy to transport, and inexpensively priced. Cleaning the tongue is quickly and easily accomplished. Nettalingua per Alitosi - Pulisci Lingua in Rame Classico per Alito Cattivo Il nostro nettalingua è certificato come dispositivo medico CE di classe I. Diffida dai prodotti non registrati come dispositivi medici! Nettalingua ayurvedico in rame per pulire la lingua eliminando le tossine che i nostri organi interni rilasciano durante la notte; favorisce l’igiene orale e la salute dell’organismo completo. ALITO CATTIVO: Il nostro nettalingua è un rimedio all’alito cattivo. Spesso l’alitosi dipende dai batteri che si accumulano sulla lingua. Usando il nettalingua la mattina e la sera, avrai una lingua pulita senza batteri. Il rame inoltre è un antibatterico naturale. TePe Zungenreiniger ist für die Mundhygiene sehr zu empfehlen. Tongue Scraper - Cleaner Brush. Tongue Scrapers ~ Oral hygiene problems such as bad breath and plaque formation are believed to be associated with a build up of bacteria on the tongue. Regular use of a tongue cleaner will help promote fresher breath, improved taste sensitivity and a cleaner, healthier mouth. Mit dem Zungenreiniger von Curaprox schaben Sie den Mundgeruch einfach weg. Die Zungenreinigung mit dem anatomisch gebogenen Oolite Zungenscharber kann die Bakteriendichte auf der Zunge deutlich verringern, um so erst gar keinen schlechten Atem entstehen zu lassen. Jordan Zungenreiniger sind bestens geeignet, die Keime, Bakterien und Beläge von der Zunge zu entfernen. Size:Tongue Cleaner. Quantity: 1 Tongue Cleaner. Model Number:Tongue Cleaner. Miradent Tong Clin Set für die perfekte Mundpflege. Der miradent-Zungenreiniger mit dem Fingerform-Handgriff ist durch sein extrem kurzes Borstenfeld besonders effektiv. Der Zungenreiniger kann täglich genutzt werden da sich in der Nacht Giftstoffe auf der Zunge ablagern, welche Sie auch morgens gut sehen können wenn Sie in den Spiegel schauen (belegte Zunge). Sie können hier einen Edelstahl-Zungenreiniger erwerben. Unique five-tier scraper, each featuring a soft lining, for ultimate comfort & maximum effect. Oral hygiene problems such as bad breath and plaque formation are believed to be associated with a build up of bacteria on the tongue. Der Gum Halicontrol Zungenreiniger im praktischen Sparpack. Orabrush Tongue Cleaner Fresh Breath Brush With Scraper (Colours May Vary). • mit doppelter, farbiger Borstenreihe für eine gründliche Reinigung. One Drop Only Zungenreiniger Professional Deluxe. • Bekämpft Mundgeruch und verbessert das Geschmacksempfinden. Tongue cleaner with ultrasoft bristles. Built in tongue scraper. Our Promise. The TUNG brush and gel were designed by dentist Dr. Wieder to be the most effective tongue cleaner ever. Our tongue brush is designed specifically to clean the rough but tender surface of the tongue. Zungenreiniger Meridol, Tongue Cleaner, Made in Switzerland NEU NEW ! Zungenreiniger sollte nach 3 Monaten ausgetauscht werden. Entfernt bakterielle Zungenbeläge und reinigt effektiv die Zunge. Der Zungenreiniger kann täglich genutzt werden da sich in der Nacht Giftstoffe auf der Zunge ablagern, welche Sie auch morgens gut sehen können wenn Sie in den Spiegel schauen (belegte Zunge). Sie können hier einen hochwertigen Zungenreiniger. 2 x Tung Gel 85g. Clinical research indicates that odor-causing bacteria on the tongue is the #1 cause of bad breath. For years,TUNG™ Gel has been recognized as being thebest way to remove the nasty bacteria that leaves a "tongue gunk" residue on the tongue's surface. WowE LifeStyle. Up to 95% of copper is made from recycled material, is toxin free and 100% recyclable. If copper is not recycled and makes its way into the landfills it will not leak any toxins into the soil or groundwater. Extend the tongue cleaner as far back of tongue as comfortable. 6 x Pure Authentic steel tongue Cleaner from INDIA. Wash the residue from the tongue cleaner, and repeat as needed. Hold tongue cleaner with both hands firmly. WowE LifeStyle. Up to 70% of stainless steel is made from recycled material, is toxin free and 100% recyclable. If stainless steel is not recycled and makes its way into the landfills it will not leak any toxins into the soil or groundwater. Product:Tongue scraper. Material:Nylon Brush,Rubber Scraper,Plastic Handle. Can remove bad breath by bacteria on the back of your tongue where your toothbrush can't reach. 1 x Tongue scraper(other accessories demo in the picture is not included.). 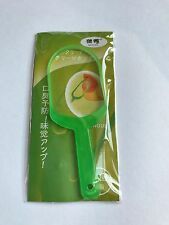 Tongue Scraper Oral Dental Care. Plastic Tongue Cleaner Brush Tool For Oral Cares. Oral hygiene problems such as bad breath and plaque formation are believed to be associated with a build up of bacteria on the tongue. Miradent Luxury Tongue Cleaner / Scraper. Oral hygiene problems such as bad breath and plaque formation are believed to be associated with a build up of bacteria on the tongue. Regular use of a tongue scraper and gel will help promote fresher breath, improved taste sensitivity and a cleaner, healthier mouth. Kids Fruit Fusion Toothpaste Fluoride-Free. Condition New. Tongue Scaraper Reaches the back of the tongue without gagging. Scrape From The Back Of The Tongue Forwards Until Clean. Start cleaning at the back of your tongue, and work your way forward. Scrape and clean the entire top and side surfaces of your tongue, not just the center. 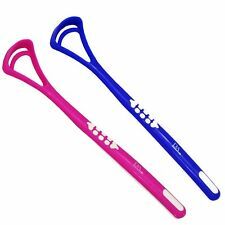 2pcs tounge brush. Soft cleaning Edge: Flexes and contours to fit the shape of your tongue. Low Profile: Reaches the back of the tongue without gagging. Narrow Design: Comfortably frts every size mouth. 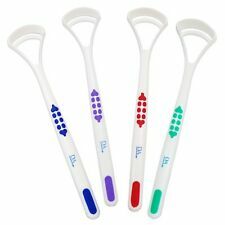 The shape is perfect for little hands and small mouths, giving them a thorough clean even if their technique is anything but. UPC 300410101220. Condition New.